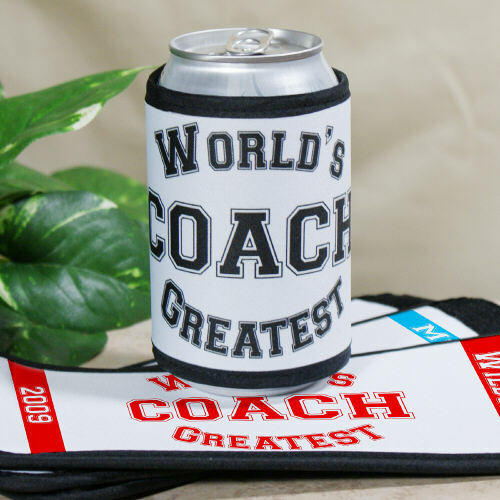 Now this is just awesome: These personalized can coolers can be customized to say any title or name (up to 12 letters) and any two-line message (up to 40 characters per line)! There's also a choice of 10 text colors! This customized can cooler measures 4" x 9.5" and features a Velcro closure.